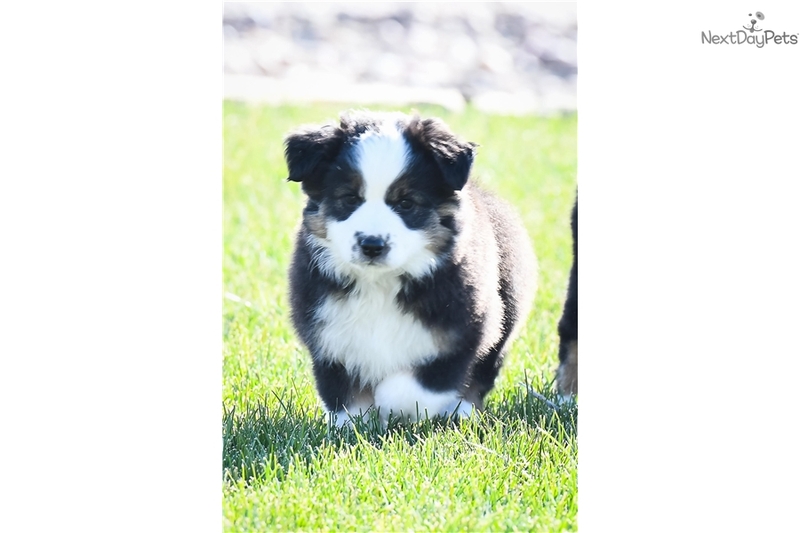 This Miniature Australian Shepherd nicknamed Vidia sold and went to a new family. Vidia is just a beautiful little girl. 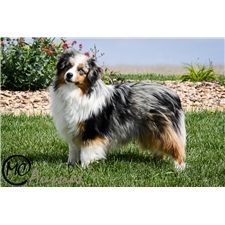 She has a beautiful coat and markings and will be a stunning adult dog. She loves to play around and check things out. She will be a wonderful addition to any family! Vidia is out of two national and international champions, her dad is Stance a 14 inch black-tri who weighs 25 pound and her mom is Chloe a 15 inch black-tri who weighs 28 pounds. We raise our puppies in our home where they are played with and socialized every day to make them the best the puppy for you. Please check out our website MCAussies.com for more information. If you would like to see a video of the puppies just let me know and I can send one.